April 25, 2019 — Sea turtle populations in Pacific coral reefs are increasing, according to a study that reveals the positive results of environmental protection efforts around the world and gives researchers information to protect these turtles from the effects of global changes. Researchers from the U.S. National Oceanic and Atmospheric Administration’s Pacific Islands Fisheries Science Center recorded numbers of threatened and endangered sea turtles for 13 years at 53 sites across four regions of the U.S. islands in the Pacific as part of a larger study of other marine life, according to a research article released Wednesday by PLOS ONE. The sites were located between islands, atolls and reefs in American Samoa, the Hawaiian Archipelago, the Mariana Archipelago and the Pacific Remote Island Area complex. Each site was observed every two or three years in April, using a boat towing two scuba divers 49 feet underwater who recorded the species and numbers of turtles within sight. Researchers observed two species specifically, the green and the hawksbill turtles. Green sea turtles greatly outnumbered hawksbill across the survey area, providing further evidence of the need to protect the endangered hawksbill. 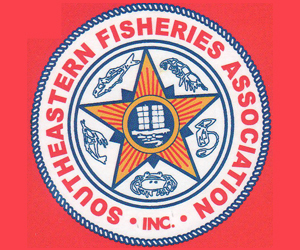 April 24, 2019 — It’s still too early in the year for lobster fishing to be in full swing, so it was quiet enough on the water this week to hear the distant sound of dropping shoes from a meeting of the NOAA Fisheries Large Whale Take Reduction Team meeting that began Tuesday morning in Providence, R.I. The four-day meeting of some 60 state and federal fisheries management officials, scientists, fishermen, and conservation group representatives was scheduled to discuss ways to further reduce serious injury and mortality of endangered North Atlantic right whales attributed to lobster traps and other trap and pot fishing gear. By the time the meeting ends on Thursday, the Take Reduction Team could propose some stringent measures affecting the Maine lobster fishery. April 19, 2019 — Mario Espinoza has dedicated years of his life to saving a fish he has yet to see for himself in Costa Rica’s waters. It’s not for lack of trying. Every single month, the University of Costa Rica marine scientist and his team drive to the edges of one of the largest mangroves in the world, where they load onto a former fisherman’s boat and work tirelessly over three days casting nets and longlines into the murky waters of the estuary. Under the shadow of 80-foot tall mangrove trees, with crocodiles and howler monkeys for company, they seek evidence of a ghost: the largetooth sawfish. Last year, Espinoza received word of a total of 10 confirmed sawfish sightings across the entire country. April 17, 2019 — Most salmon trollers can expect better ocean salmon seasons this year — while also meeting conservation goals, fishery managers said Monday. 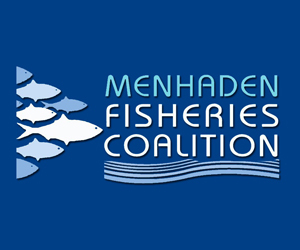 The Pacific Fishery Management Council finalized its recommendations for 2019 salmon seasons at its meeting in Rohnert Park, Calif., for seasons beginning in May. The seasons must still be approved by the U.S. Secretary of Commerce, but managers said that is expected. The adopted regulations for Chinook salmon reflect the improved status of Sacramento River fall Chinook, Oregon managers said in a notice to industry. Rogue River fall Chinook and Klamath River fall Chinook populations both are in good and fair condition, respectively, they added. Also, most of the north migrating stocks of Chinook (Oregon Coastal Chinook stocks from the Nehalem River south to the Elk River as well as a number of Columbia River Chinook stocks) are in moderate to poor condition. These north migrating stocks of Chinook contribute very little to Oregon’s ocean seasons but are very important to Oregon’s inside estuary and river recreational seasons. The commercial ocean troll salmon seasons north of Cape Falcon will have very limited Chinook salmon quotas again this year. 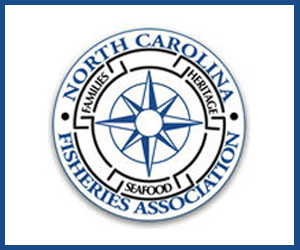 The ocean fishery will be managed by quotas, season length, and vessel landing week (Thursday-Wednesday) limits. The early Chinook salmon-only season will start on May 6. The season will continue until the overall quota of 13,200 Chinook or the Leadbetter Pt., Washington, to Cape Falcon (in northern Oregon) subarea cap of 1,800 Chinook is taken, or June 28, whichever comes first. Fishermen will be limited to 100 Chinook per vessel for the period of May 6-15 and then shift to a 50 Chinook per vessel per landing week (Thursday-Wednesday), beginning May 16. The summer all-salmon fishery north of Cape Falcon will open on July 1 and continue through the earlier of the overall Chinook quota of 13,050 Chinook or 30,400 fin clipped coho, managers said in the notice to fishermen. Trollers will also be limited to 150 adipose fin-clipped coho during the landing week (Thurs-Wed) per vessel. This year’s fisheries were designed to take advantage of a higher number of coho salmon forecast to return to Washington’s waters as compared to recent years, Kyle Adicks, salmon policy lead for the Washington Department of Fish and Wildlife, said in a press release. However, projected low returns of key Chinook stocks in Puget Sound prompted fishery managers to restrict fisheries there. Again in 2019, fishery managers projected another low return of Stillaguamish, Nooksack and mid-Hood Canal Chinook and took steps to protect those stocks. WDFW Director Kelly Susewind acknowledged the reductions in Puget Sound salmon fisheries are difficult for both fishermen, primarily sport fishermen, and the local communities that depend on those fisheries. Limiting fisheries to meet conservation objectives for wild salmon indirectly benefits southern resident killer whales. The fishery adjustments will aid in minimizing boat presence and noise, and decrease competition for Chinook and other salmon in these areas critical to the declining whales, WDFW said in a press release. In the rest of Oregon, from Cape Falcon to Humbug Mountain near Port Orford in southern Oregon, the Chinook salmon season will be open April 20-30, May 6-30, June 1-Aug. 29, and Sept. 1 through Oct. 31. Beginning Sept. 1, a 75 Chinook salmon per vessel weekly limit (Thursday through Wednesday) will be in place. From Humbug Mt. to the Oregon/California border, the commercial troll fishery will be open April 20-30 and May 6-30. Beginning June 1, landing week (Thurs-Wed) limits of 50 Chinook per vessel will go into effect along with monthly quotas of 3,200 Chinook in June; 2,500 in July; and 1,200 in August (8/1-29). Similarly, California trollers should expect more time on the water this year. Brett Kormos, with the Marine Region of the California Department of Fish and Wildlife, noted the two primary rivers, Sacramento and Klamath River, that contribute fall Chinook to ocean salmon fisheries are still in a rebuilding phase or overfished status. Still, “we are also looking at increased harvest opportunities in both commercial and recreational sectors in 2019 compared to 2018,” Kormos said. Fishery managers modeled the seasons and limits to allow for a Sacramento River fall Chinook spawning escapement of 160,129 hatchery and natural area adults. This story has been republished here with the permission of SeafoodNews.com. 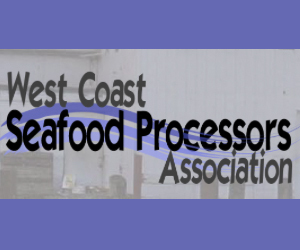 April 17, 2019 — West coast regulators have voted unanimously to ban commercial sardine fishing for the fifth straight year after a recent evaluation of the northern Pacific stock revealed a steep decline. The ban on commercial sardine catch spans the entire length of the U.S. West Coast. The 2019 season would have opened July 1. A new assessment of northern Pacific sardine stocks by the National Oceanic and Atmospheric Administration (NOAA) estimates populations of the small silvery fish have declined more than 98 percent since 2006. Not all fishermen agree with the decision to keep the sardine fishery shuttered. 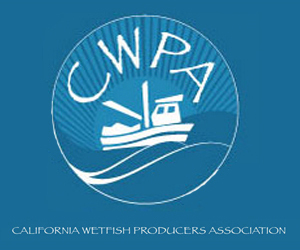 Diane Pleschner-Steele, executive director of the California Wetfish Producers Association, said NOAA’s sardine survey under-counts the fish, and that the fishermen she hears from are noticing a comeback. “They are so frustrated because they drive by school after school after school and they can’t fish,” Pleschner-Steele said. “This is their livelihood and they have families and they are losing their jobs. April 17, 2019 — Global non-profit The Nature Conservancy has announced a $1.6 billion plan to help save and restore the world’s oceans by selling “blue bonds” to coastal and island countries. The Blue Bonds for Conservation initiative will refinance and restructure debt for coastal and island countries, so long as those nations committed to protecting at least 30 percent of their near-shore ocean areas, including coral reefs, mangroves, and other important ocean habitats. 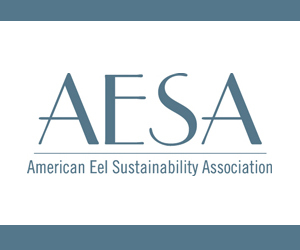 April 16, 2019 — Addressing the problems caused by dams is still the biggest challenge facing the recovery of the Atlantic salmon. 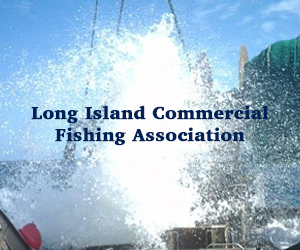 That’s at the core of a presentation a federal fisheries biologist is scheduled to deliver to a regulatory board on Tuesday in Connecticut. 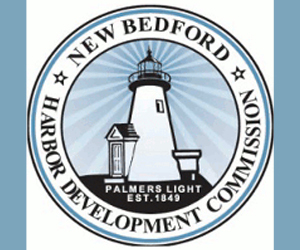 Dan Kircheis of the National Oceanic and Atmospheric Administration will be speaking to the New England Fishery Management Council during its meeting in Mystic. Atlantic salmon were once abundant in U.S. rivers, but now they only return to a handful in Maine. They’re on the endangered species list in America. Kircheis will be talking about a recovery strategy for the fish on Tuesday.